Doting father or boss under pressure? Tech whiz or able assistant? It is time for Murthy and Murty to figure each other out. Rohan Murty could not believe what had just happened. Lounging around at home, he stumbled upon one of the several computer books his parents kept. He opened a chapter and copied what was in the book into the old computer. It worked. In a manner of speaking, he had just written some code. "I spent a lot of time copying into the computer what was in the book. It was the most exciting time I have had from an intellectual perspective," he says. Forgive his exuberance. The code was simple. So was the act; he was merely copying from a book. But then, that was 21 years ago. He was eight, studying in fourth grade. From there, he took what seems like a preordained path to computer science research at Harvard University. But now he has done the unexpected and joined Infosys as executive assistant to his father, N. R. Narayana Murthy - we will come to that 'h' in the surname in a bit - who returned on June 1 to take charge of the company as executive chairman. During the conversation with Rohan, in March this year, Infosys was spoken of fondly, but vaguely. Waxing Lyrical: Within a month of that first dalliance with code writing, Rohan was through with the book. Soon after, he wanted to get into an advanced course in computers. His mother Sudha, giver of the most famous Rs 10,000 in the history of software, for it seeded Infosys, thought the boy was merely playing the fool. The father, though, took him seriously and put him in a programming class. Indians, singed by the spectrum grab that has played out in recent years, would wish him well. Ever since spectrum, the air waves that carry radio signals, including those for telecommunications and television, were found to be useful, portions of it have been either owned by somebody or nobody. Murty has created a model to provide a third option. Think of it like a highway with several lanes licensed to somebody or the other. You cannot build more lanes - spectrum is finite - and you can drive your car only through a given lane. On close examination, you would find that most of the time only two or three of the lanes are used and get congested. The other lanes lie unused. So there is artificial scarcity. Opportunistic Spectrum Access, which the Federal Communications Commission of the United States has backed, makes it possible for others to use those lanes (portions of spectrum) when the owners (the licensees) are not. When the owner returns, you get to know he has, and you get out. Since spectrum is transient - unlike say a house, which can change if some others are living in it while the owner is away - there will be no problem so long as you get out before the owner begins to use it again. What Murty has done is build a prototype to demonstrate how this can be done. His vision is to build a live repository of spectrum, like an oracle in the sky that will tell you which spectrum is lying unused where. The owners of the unused spectrum can run an auction to sell it - for hours, minutes or seconds - or get into bulk deals. The buyers will know where to bid. By the time he was in sixth grade, Rohan's dinner conversations with his father were about operating systems. "My parents never pushed me into anything, only to gain weight. But they were very supportive. If I wrote 10 pages of code, my father, even if he had just come back from a long journey, would sit with me and go through it and explain things." He was already writing a lot of code and putting it on the Internet when he joined middle school. Now he needed a nickname, for he would be inundated with email from people reading or downloading his code. And he chose "Lyric", the name of his cousin's dog. Talking about names, NRN is in a minority in his own household when it comes to spelling the surname. He is the only one with an 'h' in it; his wife, son and daughter are Murtys. It so happened that Sudha, when she married NRN, dropped her maiden name, Kulkarni, for her husband's. But, coming from the northern part of Karnataka - her husband is from the south - she did not see the point of the 'h'. As evidence of who really calls the shots in household matters, she stuck to Murty when enrolling her son and daughter in school. The PhD Factor: When Rohan was growing up, NRN was always a father to be admired. But for the son, the real hero was his uncle, Sudha's brother Srinivas Kulkarni. Head of the Astronomy Department at the California Institute of Technology (Caltech), Kulkarni was a hero even to NRN. And that has a lot to do with why Murthy and the Murtys did not think much about money. "When I was growing up, there were situations in which it was clear that money was tight. My mother always said 'That is just how it is'. We have lived in the same house since 1988 or '89. The only emphasis we had in our house was on education." NRN talked very little about his work and a lot about people who were professors, as if he wished he could be one. He had come close to doing his PhD, but was forced to forgo it because he was under pressure to earn money when his father died. "Till today he wishes he had done the PhD," Rohan says. 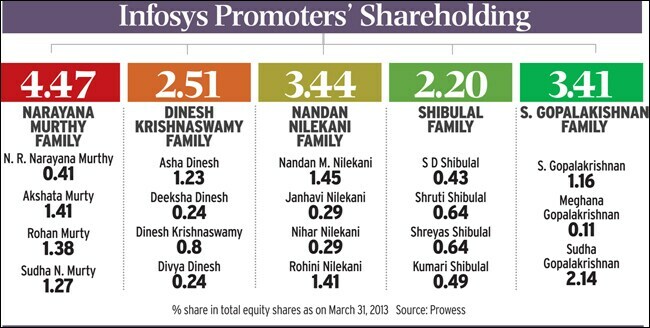 Infosys, though, was always talked about in the household, not as a company or as a stock, but as a real, living thing. So, for instance, the children had to understand that the father would not be around much because Infosys needed him. Once in middle school, Rohan would often see his father in the newspapers. The Infosys stock price and its creation of wealth became part of everyday conversation. His parents told him to ignore all this. "All this is transient," they said. "The only things that remain with you are how you interact with people and what bonds you forge with them, and what knowledge you acquire. That is something nobody can take away from you." Not quite Siddharth Mallya: And so it was knowledge that Rohan sought. And a PhD. "By the time I was in middle school I had already decided I wanted to do a PhD, though I did not quite know what I would do after that." It helped that his friends were all middle-class, as was the locality - Jayanagar - where the family lived. One of his closest friends was the son of a physics professor, another's father worked with ITC, and another's owned a small glass shop. Did he fraternise with Siddharth, the son of UB group chief Vijay Mallya? That would have shown him a way of life very different from the one Murthy and the Murtys chose. "Our social circles did not intersect." In fact, Rohan's family did not have a very large social circle. Whenever NRN was home, he was mostly tired. The little energy he had left he wanted to spend with family. It was difficult to catch him at a party. The Philosopher's Bone: At Harvard, Rohan was the same old nerd, working 10- to 18-hour days, including on weekends. The joke was that some people played squash, some had relationships, Rohan had philosophy. Actually, he was doing his PhD in computer science. But there was also philosophy. Rohan had a general interest in the subject and an accidental meeting and friendship with Parimal Patil, a philosophy professor, got him to enrol in his course. "All you have to do is read 300 pages a week, attend my class, and be intelligent," said the professor. Rohan did all that, though that page count may not have been met every week, and more. The first class was a little awkward - the other students wondered what a computer science researcher was doing there - but he soon settled in. A lot of what he studied was about the seventh century Mimamsa philosopher Kumarila Bhatta. When Buddhism rose to prominence, it rejected the foundations of the Hindu schools of thought like Mimamsa and Nyaya. For 150 years there was no intellectual response from the other side. 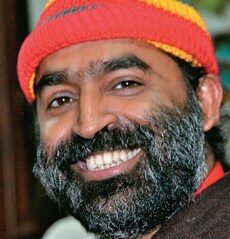 Until Bhatta joined a Buddhist monastery as a student, under cover. Once he had understood the philosophical foundations well, he went back and wrote a huge treatise on why Buddhism was wrong and why the Mimamsa philosophy was right. But that guilt of being undercover, the story goes, got to him. According to some versions, he killed himself. The treatise Bhatta wrote became the Hindu response to Buddhism and formed the platform for the next seven centuries of philosophical debate between the two schools of thought. Rohan read Bhatta in English, translated by John Taber of the University of New Mexico. And he asked himself why other great works in Indian languages should not become more accessible. "I cannot read Sanskrit. I studied Kannada, my mother tongue, in school. There was no way I could have read Kumarila Bhatta if there was no translation." Patil introduced him to the Loeb Classical Library, the result of a 100-year effort to translate classical Greek and Latin texts into English. Eventually, Rohan met Professor Sheldon Pollock at Columbia University. "He said why just Sanskrit, there is also old Tamil, old Kannada and old Bengali. There is a wealth of literature there." That is how the Murty Classical Library of India was set up at Harvard, with $5.2 million from the family, to start a series dedicated to making the literary heritage of India available to English language readers. "When I have children, I want them to grow up recognising their heritage, where they have come from." Change of Plans: The family heritage, though, will be a lot about Infosys. In March, when Rohan looked into the future, he did not see Infosys in it. But it was not completely out of the picture either. "There is no real notion of succession," he said. His father was clear that no founding family should have more than one member in the company. In the early years, Sudha, a gold medallist from the Indian Institute of Science and a formidable programmer, worked alongside her husband. But in the mid 1980s, NRN said one of them should quit and he would be happy to do that if the wife was keen to stay on. However, after a bit of pause and a bit of looking at the ceiling - as if he was wondering aloud - Rohan said: "I sometimes feel that a PhD from Harvard in computer science... These are not bad qualifications... But somehow I never raised this topic with my father." In the period since that interview, the topic was surely raised, though more likely by the father. 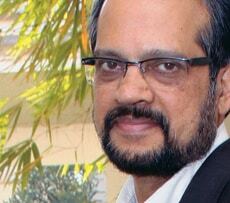 "...given Rohan's credentials, he would add value to me and Infosys. Consequently, I have requested Rohan to take sabbatical leave from Harvard and join my office to assist me," NRN said in a letter to Infosys employees. An EA Apart: Santhosh Babu, who coaches CEOs and other celebrities in life skills, sees nothing wrong with this. "Is he qualified? He is. Good EAs do increase the efficiency of CEOs. The flip side is that they do not get any visibility. I do not think this is a succession plan. There are ways of doing that and making your son your EA is not one of them." It is unusual, all right. And one need not go very far to find the usual. Lakshmi Venu, who Rohan married two years ago, is already director-strategy at Sundaram-Clayton, the auto parts company whose CMD is her father Venu Srinivasan. K. Ramachandran, an expert on family businesses, sees "no evil intention" in the changes at Infosys. However, he does not see Rohan being a very effective EA. "He has never worked in a company. An EA should be able to pick up the phone and talk to business heads. I'm not sure he can. He may not be able to help his father much in routine work. His major strength will be his understanding of technology." Yet, according to Ramachandran, the move could have been avoided. "Bringing his son was unprofessional," he says of NRN. "He had given Infosys the image of a highly professional and transparent organisation. He has diluted that." There is a bit of transparency in NRN's letter to Infosys employees. "His charter," NRN says about Rohan, "is to be my executive assistant and not to aspire to become the next CEO."